NAIROBI, Kenya, Feb 5 2018 (IPS) - Africa’s quest for health continues to be held back by a combination of factors such as natural disasters and pandemics, prevailing high rates of communicable and rising incidence of non-communicable diseases, sedentary lifestyles, road accidents and greater population mobility. With the region accounting for approximately a quarter of the world’s disease burden and just 3 percent of its doctors, it is difficult to be optimistic about the future. Every year for example one million people in Kenya, fall into poverty and stay poor due to a catastrophic health shock. Nearly 11 million Africans fall into poverty due to high out-of-pocket payments for healthcare, even as the continent is expected to provide access to essential health services, medicines and vaccines for all its citizens by 2030 as part of the Sustainable Development Goals agreed on globally. Kenya’s President Uhuru Kenyatta has prioritised universal health coverage (UHC) for all in his second term. It is obvious that to achieve UHC, more resources will not only have to be mobilized for the health sector, new partnerships must also be forged, such as the one between United Nations, Government of Kenya and technology company Philips, to improve access to health care in hard to reach communities. New models of blended financing and impact investing need to take up the slack to address the scarce resources, which must also be used more efficiently and effectively. The Better Business Better World Africa Report shows how challenges in the delivery of health care can be turned around into large business opportunities with a potential value of US$259 billion and could create over 16 million jobs in Africa by 2030. Innovation Tech could be a game-changer in diagnostics, health information, supply chain management, health financing, and even remote tele-surgery performed by robotic arms. Few frontiers provide greater potential for African countries to achieve UHC than information technology. “Just as mobile payments have transformed Kenyan markets, I think innovations in the health sector— from machine learning algorithms that help diagnose disorders, to digitized prescriptions that make drugs more affordable— could have a transformative impact on health, quality of life, and the efficiency of our investments in healthcare,” says Dr. Temina Madon Executive Director for the Center for Effective Global Action at U.C. Berkeley. A crucial enabling factor is the continent’s impressive mobile penetration profile. Africa is getting more and more interconnected. With prices falling, smartphone penetration more than doubled between 2014 and 2016. By 2020, smartphone adoption on the continent is expected to surpass 50 percent, meaning that technology will be well placed to open up health systems to the poorest and most vulnerable people. 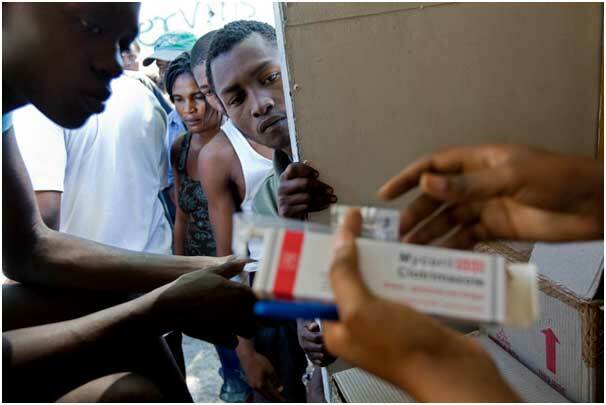 Increasing penetration and scaling of private, public-private and community insurance schemes could transform access to better healthcare, especially if the right insurance mechanisms, including forms of micro-insurance, are put in place. Digital solutions such as Kenya’s M-Tiba could play an important role in the realization of UHC. Google researchers have trained image recognition algorithms to auto-detect signs of diabetes related eye disease by analysing retinas which could help prevent blindness. Stanford University innovators are creating a cell phone based mosquito monitoring platform for anyone to submit a mosquito buzz – producing the most detailed global map of mosquito distribution that can help prevent mosquito borne diseases. Drones, as those of Zipline, are revolutionizing supply chain management systems in Rwanda and Tanzania, drastically reducing the time of delivery of blood at the facility when patients are in need and at risk of dying. With the ubiquity of smartphones and a shortage of specialist doctors, calling or texting a physician for a consultation and to obtain a prescription can be done in a flash, literally. With ICT prices dropping, telemedicine will be more than a niche application of cutting-edge tech; it could be the future norm of medicine. Dashboard systems will help policy makers and implementing agencies monitor progress of programmes and identify areas in need of improvement. Likewise, Geographic Information Systems (GIS) can provide geographically-referenced data to help in identifying relationships, patterns and trends in diseases. Taken together, these innovations will ensure that each building block and therewith entire health systems can be strengthened and that resources mobilised in the health sector are used more efficiently and effectively. Fortunately, these innovations are already in existence, albeit many of them at pilot-level implementation stages. Countries need to identify tools that are available in the market, especially those that are based on open source software that allow for adaptation, and take them to scale. The price of failing to take up such opportunities will be a slower march towards economic progress, as families continue to use up their life savings, sell assets, or borrow to meet the cost of health care. A demographic dividend looms in Africa, and countries need to capitalize on the employment opportunities offered by the health sector while strengthening their health systems. A young army of community health workers who are tech savvy and can reach the last mile, could offset the chronic shortage of doctors and nurses through task-shifting. UNDP’s Administrator Mr. Achim Steiner has underscored the importance of multi-sectoral partnerships as a vehicle to attain UHC. 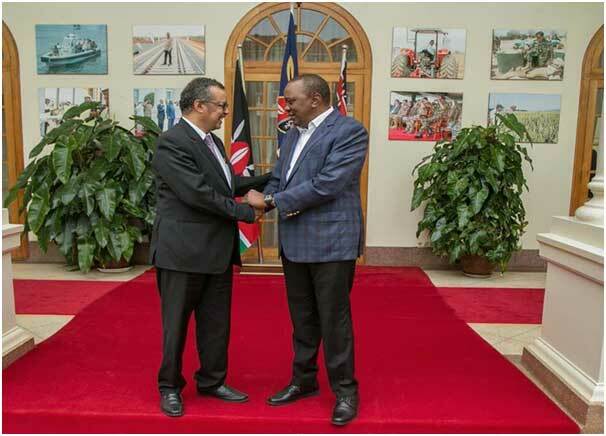 Such partnerships he says, “are key in connecting players nationally and globally, across sectors and silos to drive progress on UHC”. This is exactly what innovative Platforms such as the SDG partnership Platform in Kenya are beginning to catalyse – harnessing global tech innovations and intellectual firepower to serve the continent’s populations with public-private investments to achieve Universal Health Care for basic human dignity and as a springboard for greater economic growth. And Kenya can lead the way in achieving Universal Health Coverage.